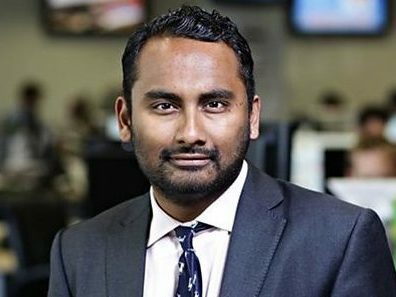 BBC media editor and former Independent editor Amol Rajan has said “enough is enough” to journalists who “blame everyone but themselves” for the challenges currently facing the industry. In this year’s Bob Friend Lecture at the University of Kent, reproduced on the BBC website, Rajan attempted to debunk three myths about the current state of journalism. He said Donald Trump had created a “marriage of convenience” for the press as, despite his attacks on the mainstream media, subscriptions and ratings have increased at the New York Times, the Washington Post and almost every US television news network since the 2016 election. Rajan downplayed fake news, claiming it is a tiny proportion of the total information available on the biggest social media platforms. He also challenged the popular belief that people will not pay for quality news online, pointing to increasing digital subscriptions at the Financial Times and The Times. 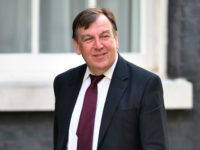 Instead, he said, journalists should “take a look in the mirror”, especially after missing many of the big stories from the past decade – including the financial crash, the Brexit vote, and general election results in 2010, 2015 and 2017. 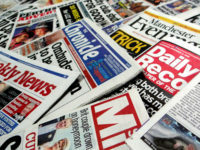 It has also been suggested that journalists would have picked up the fire safety concerns of Grenfell Tower residents before the decline of the London local press and in a pre-internet era. Rajan said: “It seems to me, journalists have a tendency to blame everyone but themselves. “It’s President Trump’s fault, because he’s launched an assault on CNN. It’s other politicians’ fault, because they won’t come on our shows any more, knowing they can use social media to circumvent pesky journalistic questioning. “It’s other legislators’ fault, for suggesting new regulation that would cripple a centuries-old commitment to press freedom. It’s Mark Zuckerberg and the tech giants’ fault, because they’re taking all our advertising dollars and now not even referring people to our websites. “And best of all, it’s the audiences’ fault. They’re not paying for quality any more, and they’re too distracted by better offers from elsewhere, like watching sport or eating ice creams or raising families. Rajan encouraged news organisations to “have the balls to charge” for their content. He criticised the “disastrous” strategy of relying on digital advertising revenue which he said resulted in websites chasing clicks and distorting editorial values. Rajan himself admitted being part of the problem during his tenure as The Independent’s final print editor, recalling the time he turned a piece calling for greater transparency in the House of Lords by the newspaper’s founding editor Andreas Whittam Smith into the website’s most read of the month. “Suffice to say, tweaking headlines in this fashion ain’t what I went into journalism to do,” he added. He encouraged journalists to move away from the “dopamine-fuelled share” and back to the principle that it is better to be right and second than first and wrong. Rajan also highlighted the disconnect between journalism and the lives of the working class around the country. Social mobility charity The Sutton Trust found in 2016 that 51 per cent of Britain’s top 100 journalists went to private school – more than seven times the UK average. Suggesting that more programmes, reports and features about poor and provincial Britain should be commissioned, Rajan said: “Speak for and with the poor, rather than to or at them. UPDATE 6/3/15 – An Independent spokesperson told Press Gazette: “Amol made many good points in his recent speech but an anecdote about a headline apparently used on an Andreas Whittam Smith article back in 2012 must have been misremembered. “Having examined the archives, we found the piece, which indeed – for a relatively short time – used the words ‘one direction’ in the headline, although the article was arguing that the BBC’s lack of action over Jimmy Savile amounted to a cover-up, rather than addressing Lords reform. “It was not the most read of the month, but was instead the 1,460th most read. In any event, adding band names to unrelated pieces wouldn’t fool Google, which takes the full context into account. “Even if it did work, any misled readers would simply click the back button, leading to incredibly low engagement, and eroding SEO strength. So there is no motivation to mislead. A mere three months before the most momentous nationwide referendum in the country’s history, ‘The Independent’ – at a time when its influence was needed more than ever – folded its print edition, both removing its influence and conceding space on the newsstands to more copies of the Sun,.Mail, Express. This was nothing short of a betrayal of the legacy of a once great, campaigning newspaper. And it happened under Mr. Rajan’s ‘stewardship’ – shameful. Hi Brian, I tend to agree with your comments and with regards to the digital disruption I’m completely with you. Complaining that technology is changing is like complaining rocks are hard. Tech is always on the move so the rocks will get even harder too.